Vertical sleeve, or “gastric sleeve surgery”, is one of the newest and fastest growing weight loss procedures in the United States. The sleeve procedure removes about 85% of the stomach and prompts weight loss* by reducing appetite and initiating hormonal changes in the gut. *Results may vary. The stomach is about the size of a banana after the surgery is performed. What makes the vertical sleeve procedure especially appealing is that it avoids the potential long-term problems associated with other weight loss procedures. Vertical Sleeve weight loss surgery is often safer than gastric bypass while yielding similar results. 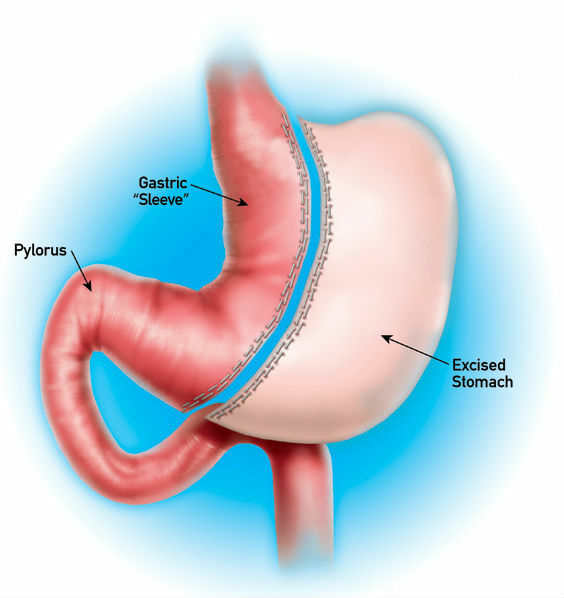 How is the Vertical Sleeve Gastrectomy Performed? With this procedure, restriction of the stomach is accomplished by dividing, stapling and removing more than 85% of the existing stomach. The remaining part of the stomach is long and narrow, much like a shirt sleeve. Since the intestines are not touched, the functioning of the stomach remains the same. This means the nutritional elements of food can still be absorbed, but the volume of food that can be eaten is drastically reduced. A vertical sleeve gastrectomy alone is not a quick fix for obesity or obesity-related health conditions. A lifestyle change is necessary to enhance results. After weight loss surgery, it is imperative that you eat healthy foods, control portion sizes, and exercise. If you do not follow the regimen set for you, complications and unfavorable weight loss results can occur. Who Is A Candidate for this Weight Loss Surgery? Western Bariatric Institute offers this procedure to patients who meet the criteria established by the National Institutes of Health and the American Society for Bariatric and Metabolic Surgery. Patients are considered candidates if they have a Body Mass Index (BMI) over 35 and/or suffer from any health condition related to obesity. 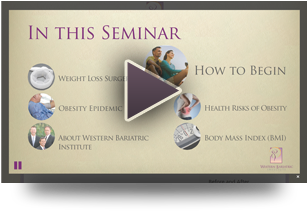 Watch our online seminar to learn more about gastric sleeve and the other surgeries we offer, as well as an animation of the procedures that the Western Bariatric Institute can perform. 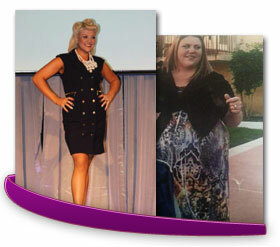 Read about the Gastric Bypass or Lap-Band.